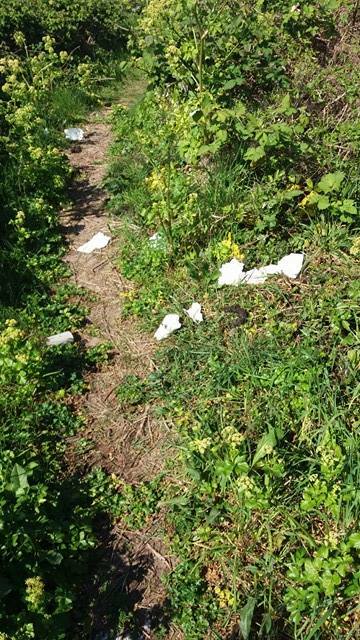 Parents of pupils at Drapers Mills school in Margate say they have been advised to make sure their children avoid the Dane Valley track by the green – because of human waste allegedly at a site where Travellers have set up an encampment. The school sent a text to parents after being contacted by Dane Valley ward councillors. The encampment appeared on the site just hours after another group of Travellers had been moved on – meaning the green has been taken over for almost a month now. The issue has been reported to Thanet council but ward councillors say it is taking to long to deal with and the noise and the mess is causing issues for residents. Cllr Gary Taylor told The Isle of Thanet News: “There are generators going all night, gas canisters lying about and human faeces and flies. A Thanet council spokesman said notice has been served on the group. The authority told a concerned resident that officers are monitoring the situation closely and will ensure the Street Cleansing team is notified should the area be left in an unacceptable state for any residents nearby.